Panasonic is proud that its new display solution implemented in InControl Touch Pro Duo features on the Range Rover Velar; world-first technology that joins a host of innovations at the heart of an equally pioneering global model. 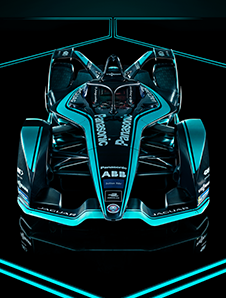 Panasonic Jaguar Racing are contesting the new season 2018/2019 of the ABB FIA Formula E championship. Panasonic has joined the Jaguar Racing Team in 2016 as the “Official Title Partner” in the frame of a multi-year partnership.